My year of reading the world led to a book, published under two different titles in the UK and Commonwealth, and US and Canada, as you can see below. The book examines the big questions I encountered during my adventure, such as how translation, censorship, cultural identity and technology affect the way we share and understand stories. It brings in some of the personal histories of the people I met on my quest, as well as my own reading experiences throughout my life, a whole lot more research and many other books. Ultimately, it explores how reading can change and shape us, and reveals the extraordinary power that stories have to connect us across cultural, geographical, political and religious divides. Writing that book and reading all the extraordinary stories that went into it proved transformative for me. It freed me up and taught me to be much more daring as a writer. I have since completed two novels. You can find details about them below too. Every time you buy one of these titles, you help support this project, which I fund entirely through the money I earn from my published work. You also make me smile! 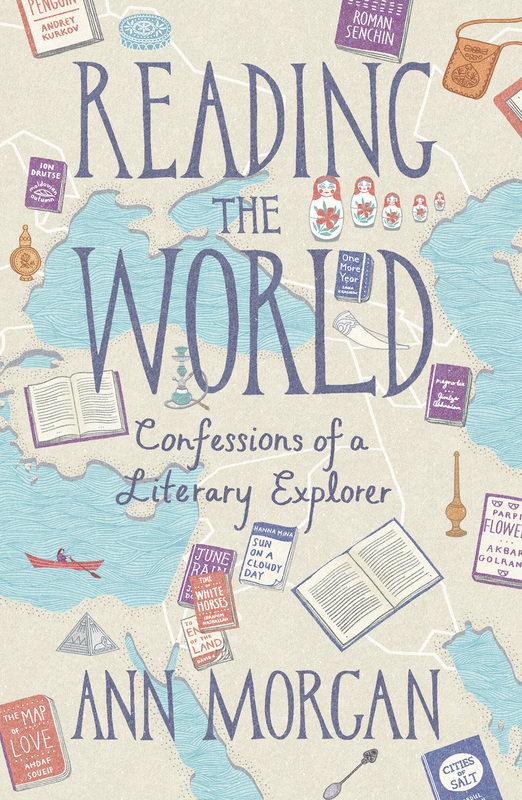 Reading the World: Confessions of a Literary Explorer was published in the UK and Commonwealth in February 2015 by Harvill Secker/Random House. Order your copy here (or go to your lovely local indie bookshop and buy it from them). 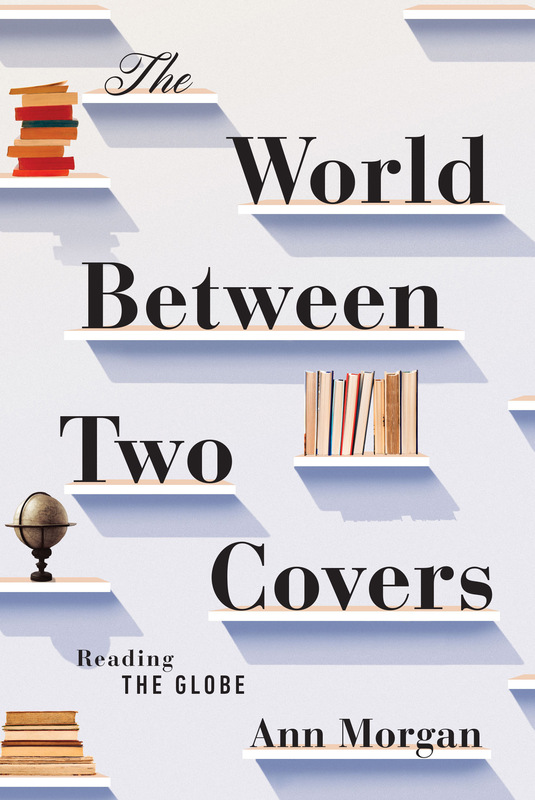 The World Between Two Covers: Reading the Globe was published in the US and Canada in May 2015 by Liveright/Norton. Although the title is different, the rest of the book is identical to the UK edition – Liveright even kept my British spelling. You can buy it here (or get it through your local book store and help keep them going). 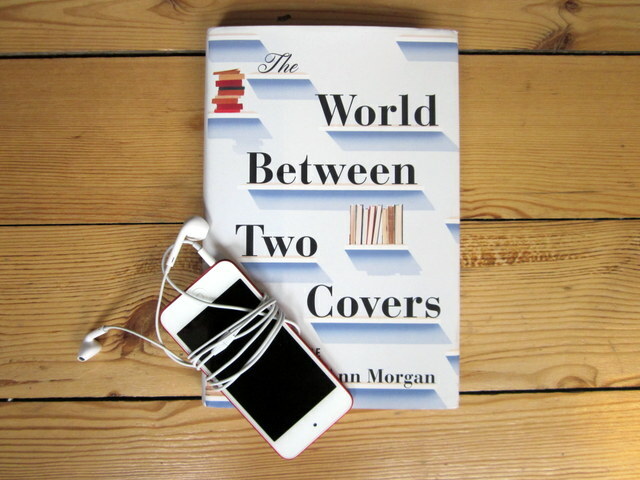 The World Between Two Covers is now available as an audiobook (narrated by me) in the US and non-Commonwealth countries. You can listen to an extract and buy yours here. 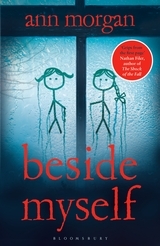 Beside Myself was published in 2016 and has been translated into eight other languages. It tells the story of a pair of identical twins who swap places in a childhood game and get trapped in the wrong lives when one refuses to change back. You can discover how I came to write it here. And if you’d like to read it, you can order a copy here or through any bookshop. Crossing Over is an Audible Original novel, narrated by Adjoa Andoh. It explores memory, trauma and language through an encounter between an 87-year-old dementia sufferer and the Malawian migrant hiding in her barn. There’s more information about the background to the book here and this is where you can buy yours. Hello, I just discovered your 2012 project (three years later, in Italy we say better late than never!). As a lover of words in every form and language I can just say AMAZING IDEA! I’m surely going to buy your book! And, as a wannabe translator I was also wondering if I’ll be able to find it in Italian 😀 (if not, I’ll go with the English version and I may try to to make my own translation of it!). Talking about translation, I imagine you chose texts in translation, for they most part. Wasn’t it difficult to find something translated from smaller countries or less spoken languages? I’d love to hear back from you! Thank you for your inspiration! Thanks Elena. Lovely to hear from you. The book is not published in Italian (yet). Hopefully one day! Yes, it was a challenge to find books in translation from every country. You can find out what happened in each case by going to the List and clicking on this site and clicking on the country names. Hi,im from China,where can i buy ur book”reading the world”? Hi. It is available from most online retailers, I think. I‘m a Chinese reader who happened to find your TED talk on website.Love your idea and follow your news. Ann, your project is amazing! Ann, I told you on Twitter I would send you some comments on my experience of reading The Book! It seemed most appropriate to post those comments here, but feel free to put my post anywhere else you wish. Because I want lots and lots of readers to know about your project and to read your book. The book was everything I expected and more. Even though I had read about your project and how you did it here on this site, I loved learning the in-depth stories of how you developed your initial idea, how you finalized the list of countries and decided on the books to read. But more than that, I appreciated how generously you let us readers into your mind, your psyche as a reader, and shared what the entire experience did for you and to you. You were brave to share both your opinions and your reactions, the changes you went through, and to summarize what must have been a tremendous amount of research. I finished the book in awe of the breadth of aspects that are related to reading beyond one’s own language and the ability with which you kept it all readable and entertaining as well as informative. How lovely. Thank you so much for taking the time to write so thoughtfully and in such depth, Judy. It’s very encouraging to read. Enjoy your literary adventures and do let me know what you think of the books! Hi Ann, I watched your TED talk today and am incredibly inspired by your journey. Way back in the day I was an anthropology major in college and as an avid reader of literary fiction I’ve naturally gravitated toward reading world literature. Your list is amazing and I am hoping to explore many of your recommendations. I have a question – have you read any works that have been translated from Yiddish? Isaac Bashevis Singer (Poland), Chaim Grade (Lithuania) and Shalom Aleichem (Ukraine) are amazing authors. Thanks Lisa. No yiddish translations as yet, but it’s a great idea. I still do one Book of the month on the blog, so I will consider your suggestions for this. Thanks again. Hi Sophie. Your English is very good. I can’t share the books, I’m afraid as I do not own the copyright, but you can read what I thought about each book by clicking on the links here https://ayearofreadingtheworld.com/thelist/. Thanks for your comment. Hi Ann, I watched your TED talk today and I am amazed the idea of reading the world literary !!! Also I appreciate your reading lists from Bangladesh. I`m from Bangladesh living in London. I would like to recommend one more book from Bangladesh, which is `Maa` by Anisul Haque. This book is translated in English. Thanks Sanjida. Your recommendation sounds interesting. Do you know the English title? Is it ‘Freedom’s Mother’? Thanks again. Hi Ann, yes you`re right, the english title is `Freedom`s Mother’; its a story of a mother who did not eat rice from the day her son asked for rice to eat (later died in liberation war in 1971) till her death. Its a heart touching story. I saw your TED talk which was very good but only discovered your project today. I have been reading round the world using the Good Reading Guide World Fiction published by Bloomsbury which has a section for each country and recommendations as well as picking up books on my travels. Really looking forward to reading yours as well. The best place I have found locally to buy world books is Stamfords who sell a lot of maps and guidebooks but a lot of fiction as well. Thanks Nancy. Yes Stanfords is great, isn’t it? I did an event at the Covent Garden shop earlier this year and could happily have stayed for hours! Your story truly inspired me since I have been confining myself to Chinese and English literature only. I really think that I should start my reading journey as well but the big question is, there are even fewer Chinese translations of the world’s literature.Even though I can read in English but it would be very challenging to my fellow Taiwanese. By the way, glad to see that you’ve included Taiwan in your country list. There are many masterpieces as you may found out written by Taiwanese wordsmiths. I am wondering which Taiwanese book you’ve picked? I am blogger from Indonesia. Feel at home in this blog. Seeing a lover and author who has been around the world to read favorite books every country. Good luck. Hello, I am a blogger from Korea. When I saw the list, I think I didn’t saw the Korean’s book. So, I would reccomend you “A hen get out of the garden”. In Korea, it means 마당을 나온 암탉. I hope you to read this book! it’s one of the richest fields of literature in the world. maybe you could start with Saadi or Hafez or Ferdosi poems they are all translated. Ann, I loved your ted talk and your story! I am definitely going to search for your book in my local bookstore. I am very interested to see what you learned from reading around the world! I think this is a wonderful project, and I’m so impressed that you kept it up and managed to blog at the same time. I would love to do something similar eventually, with poetry as well. It is such a wonderful way to grow closer to a language and a culture. Thank you so much for sharing your experiences, they are truly inspiring! How to read a foreign book effictively if I am not very good at that language? It’s an interesting story and it inspires me. Hi Ann, have you read any works that have been translated from Yiddish? Not yet – do you have any recommendations? Hello, I’m highschool student of Korea. Recently I’ve had a class with your TED lecture. I have an interest about your project, and I want to recommend a book to you. Have you ever read 소나기(means shower in English)? It is very beutiful story with lots of rhetorical expressions. And it’s storyline is nice either. It is not that long so I guess you can enoghly enjoy it. I’m afraid that there isn’t any nice translation to deliver the meaning of it’s wonderful expressions, but I sure that it will either be very interesting and touching. Thanks Yujin. It sounds interesting. Good luck with your studies. I watched your Ted speech and I admire your work. It’s really inspring. I am a Turk and we have amazing literature that many people should read. Madonna in a fur coat from Sabahattin Ali and Çalıkuşu (The went) from Reşat Nuri Güntekin are one of my favorities. Of course there are more and more. Thanks! Yes, I read Madonna in a Fur Coat a few months ago. An intriguing book! Hello,I am an undergraduate of China. I watched your TED speech today and I can’t wait to come here and read your blog. Your project is really fantastic.I like reading books too and I have a dream to travel all over the world cause the world we live is wider than we thought. After reading your story I also want to join this project but I’m afraid I don’t have enough resource, maybe you know , we don’t have enough books translated in Chinese. But I will try my best to follow this way and get close to the beautiful world. By the way, Have you read any books from China? I want to recommend you a famous writter,Moyan,who have received Nobel Prize in Literature.You can learn more about Chinese village culture by them and I like him very much. Thanks Anna. Yes. I have read some work by Mo Yan – a great writer! Hello, I just found out about this project and it’s amazing. So inspiring. I’m going to check out the full list and challenge myself as well. I do have one suggestion or comment: I looked up Canada (where I’m from) and was a bit disappointed that your selection was written about the USA. There are so many amazing Canadian authors who write about Canada, or better wonderful First Nations authors: Eden Robinson, Katherena Vermett, Carleigh Baker, Lee Maracle, Donna Morrissey, Gail Anderson Dargatz, Joseph Boyden, Lawrence Hill, Ami McKay, and Margaret Atwood just to name a few glancing at my bookshelves. I think all these authors would be available on Amazon UK, if not available at the library. Hello Ann, I find your blog interesting. What you did was amazing. Did you manage to complete all the 195 books? How did you manage that along with working? Thanks! Yes I did – you can find out more in my book, Reading the World! I just came across your 2012 project, and watched your TED Talk only now, and I must say, what you did was very amazing! I wish I could follow your steps and finish up the list! Growing up with English as my second language, I (am rather fortunate) to read a diverse genre of books in Chinese, English, and Malay. My favourite, however, is Japanese literature — in particular, Haruki Murakami’s work, especially “Hardboiled Wonderland and the End of the World”. (OK, I see that you don’t have it on your list, you should probably read that.) When it comes to reading Japanese books, I tend to read both the Chinese and English translated versions, to get the best of both worlds, so they said. Recently, I discovered Keigo Higashino’s novel, “Miracles of the Namiya General Store” and finished the Chinese translation of the book. While trying to look for one I realised the book is yet to be translated into English. Then I thought, maybe I could translate one myself, and started going about the project — in between home-and-work commute, most of the time. Now that I have read about your project, I’m even more inspired to finish the project soon! Thanks for your inspiration, and wish me luck! Fabulous – good luck with that project. Let me know how you get on!